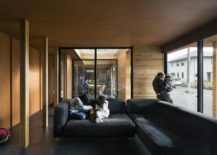 Evolution of design and architecture is often accelerated by needs of specific landscapes and unique obstacles presented by local weather in different parts of the globe. 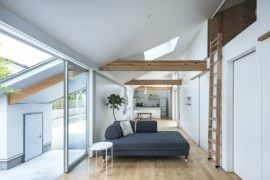 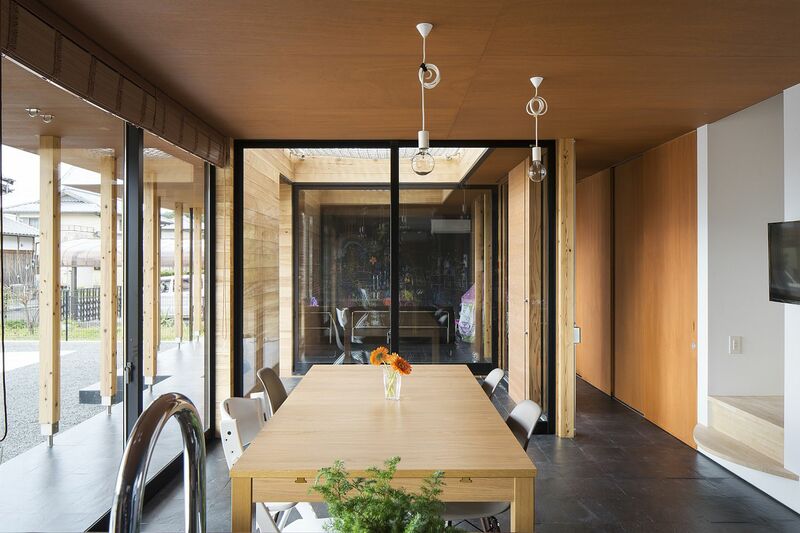 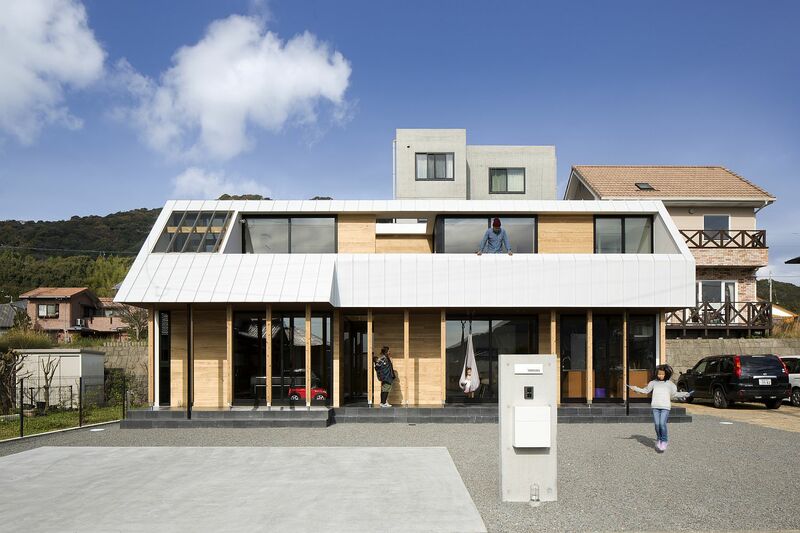 Designed to withstand frequent typhoons that are all too common in the region, House in Sukumo has an innovative silhouette and a specially crafted courtyard that act like a ‘chimney’ for the passage of high speed winds. 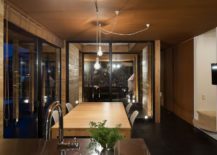 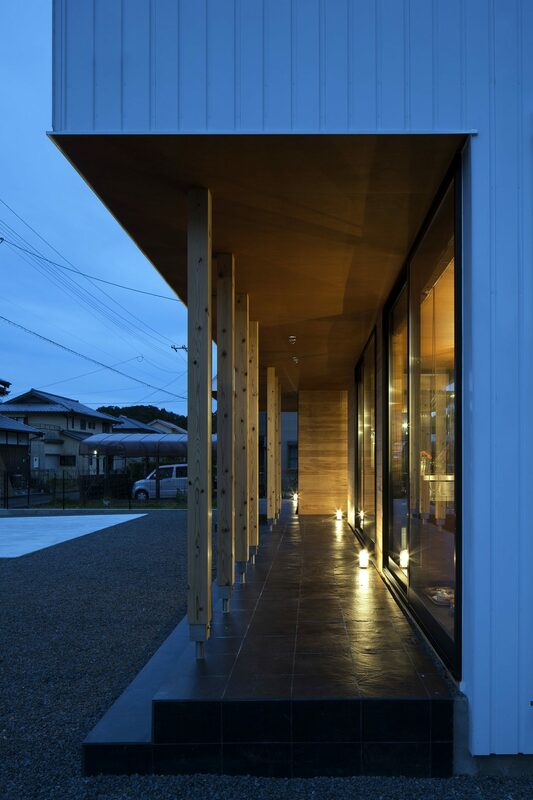 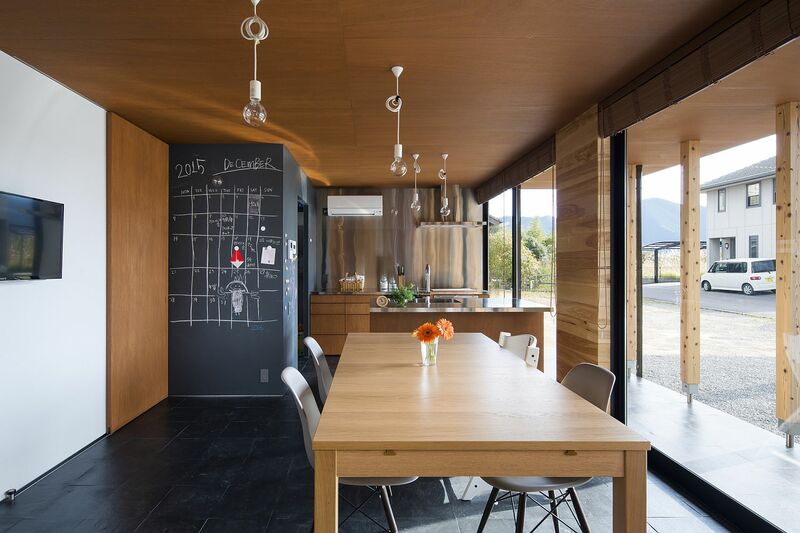 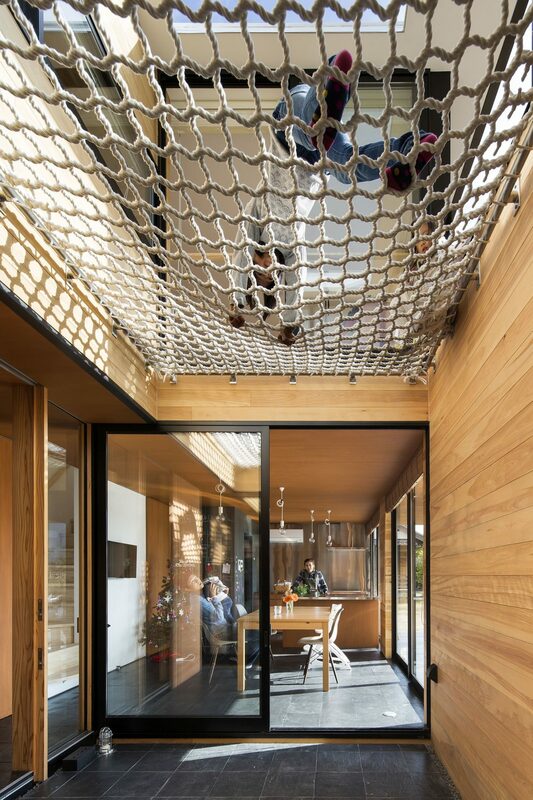 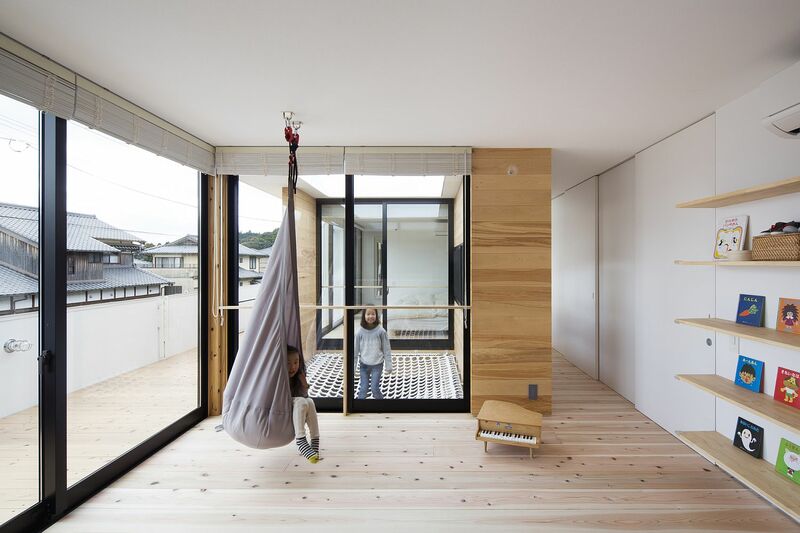 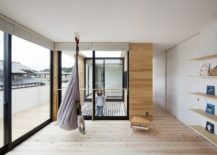 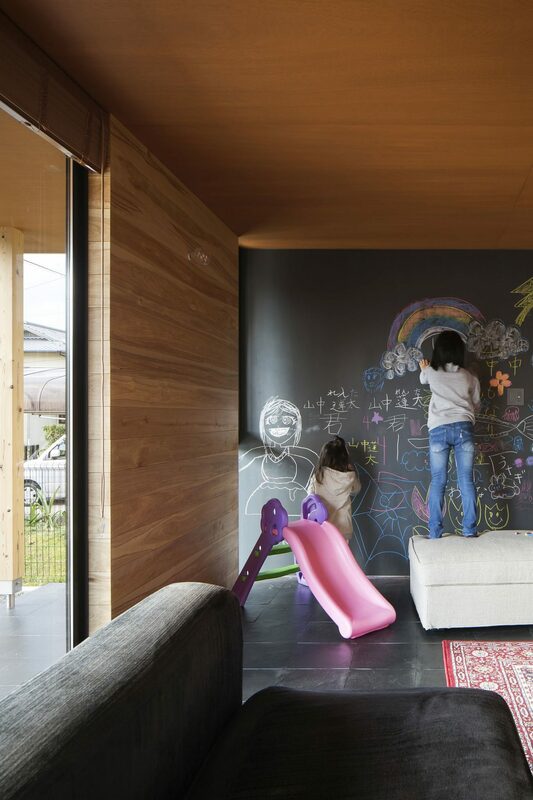 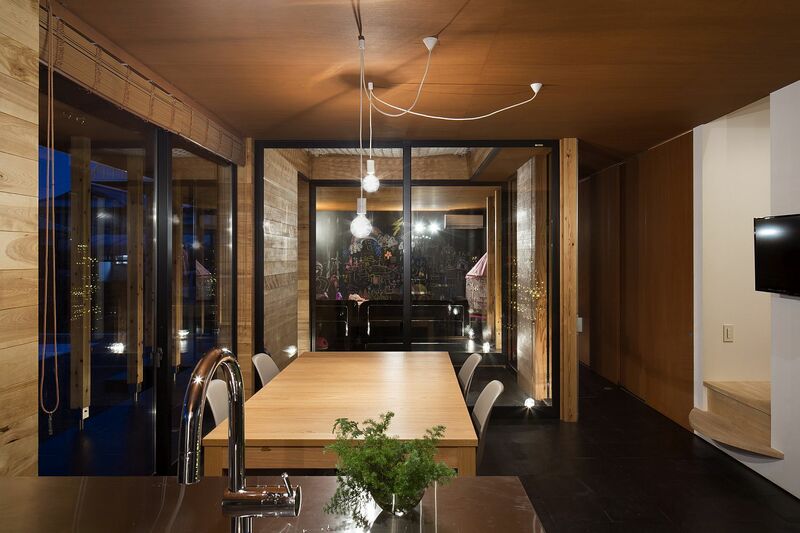 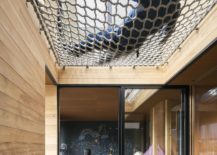 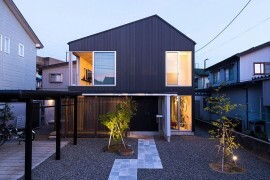 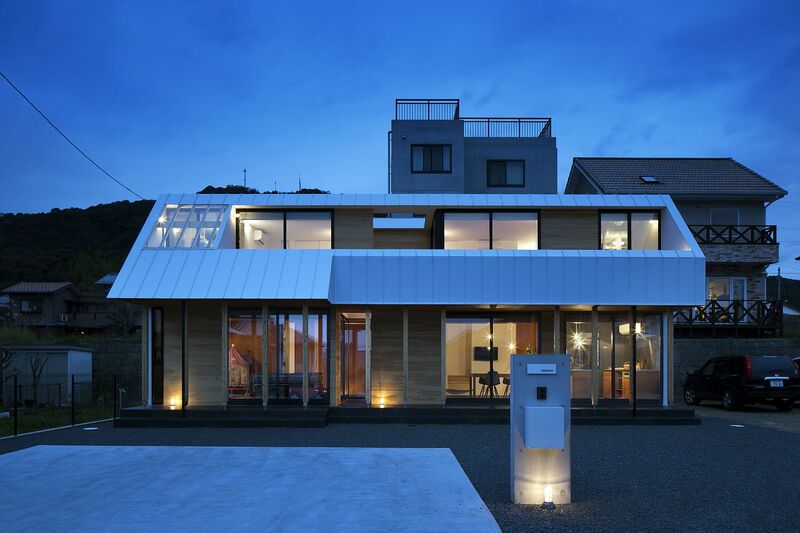 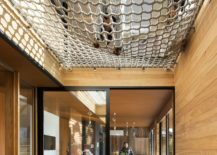 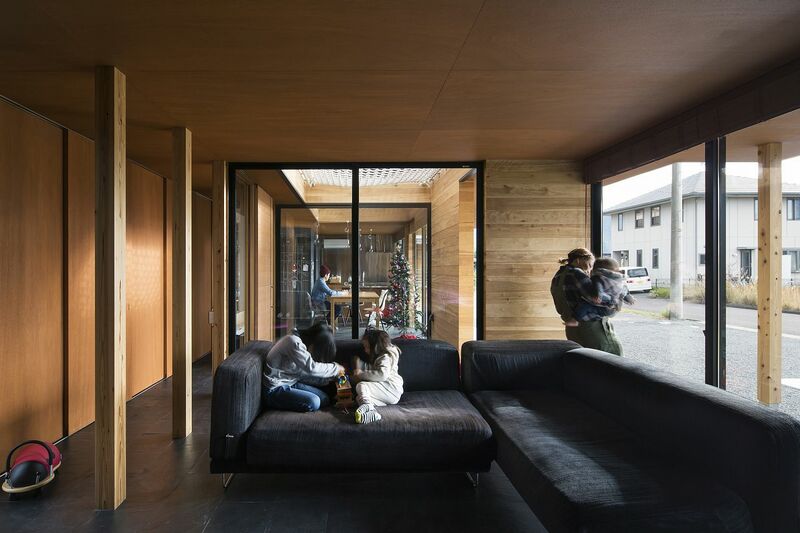 Located in Sukumo, Kochi Prefecture, Japan and conjured up by Container Design, it is this distinct feature that protects the home from on gusty days even while ensuring the ambiance inside is left undisturbed. 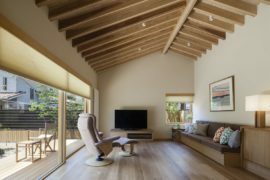 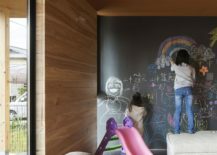 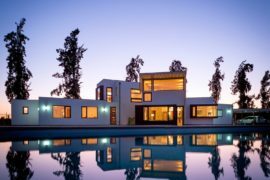 It is the lower floor of this family home that contains the living area, kitchen, dining and pantry along with a restroom and additional storage space. 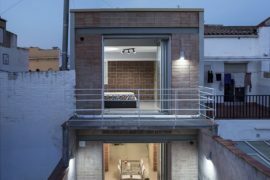 On the top floor one finds the bedrooms and bathrooms as the demarcation between public and private space is well-defined. 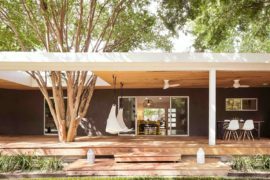 The courtyard sits at the heart of the house and a ventilation duct on the second floor brings in light and natural breeze. 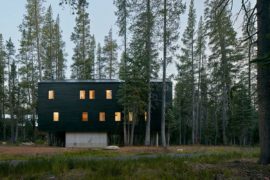 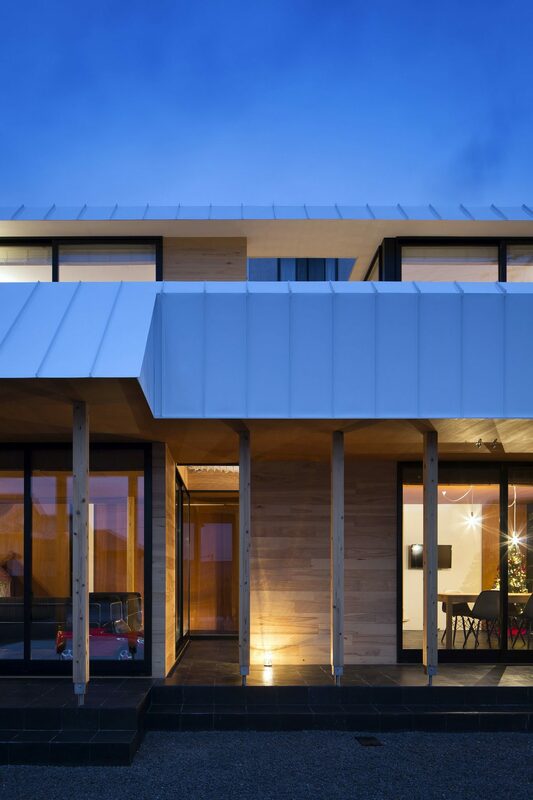 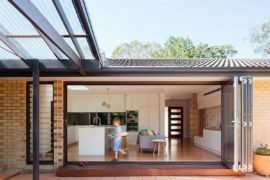 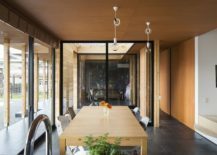 While hitting the house is gently drawn into the courtyard, it is the slightly curved outward roof of the south side that directs the air outside. 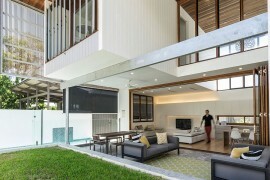 This also helps in cooling the house naturally on less boisterous days!